Experience the colours, aromas and flavours of great Italian cuisine without hopping on a plane. 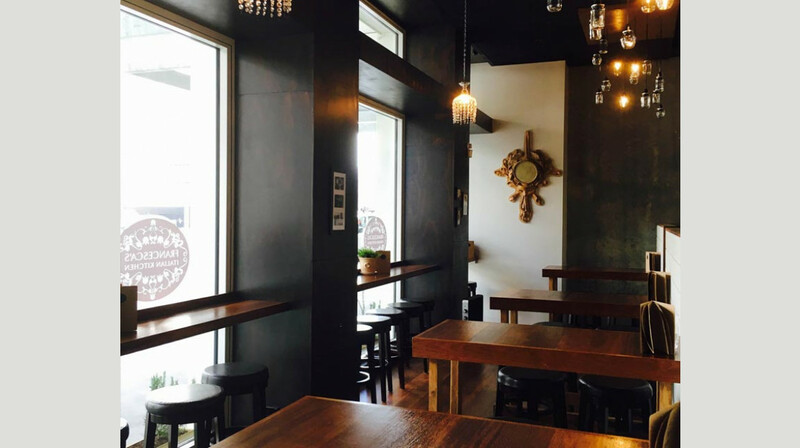 Right here in Christchurch, Francesca’s serves up authentic Italian cuisine and hospitality. 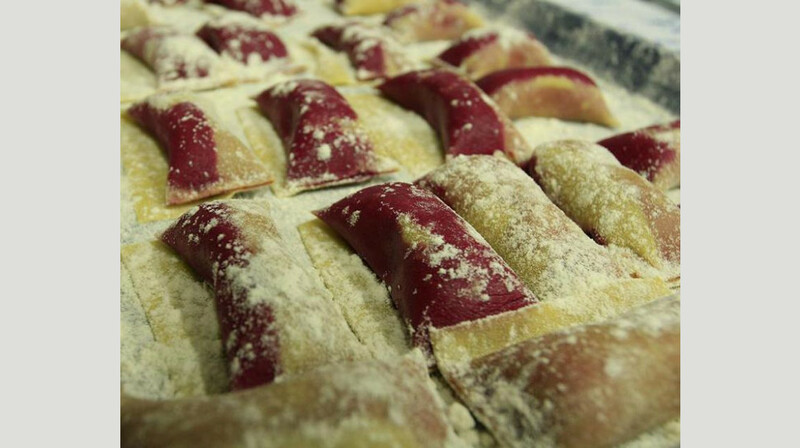 Prepared from fresh produce and the finest local and imported ingredients, Francesca’s chefs carefully and skilfully prepare pizza, pasta, antipasti and more. 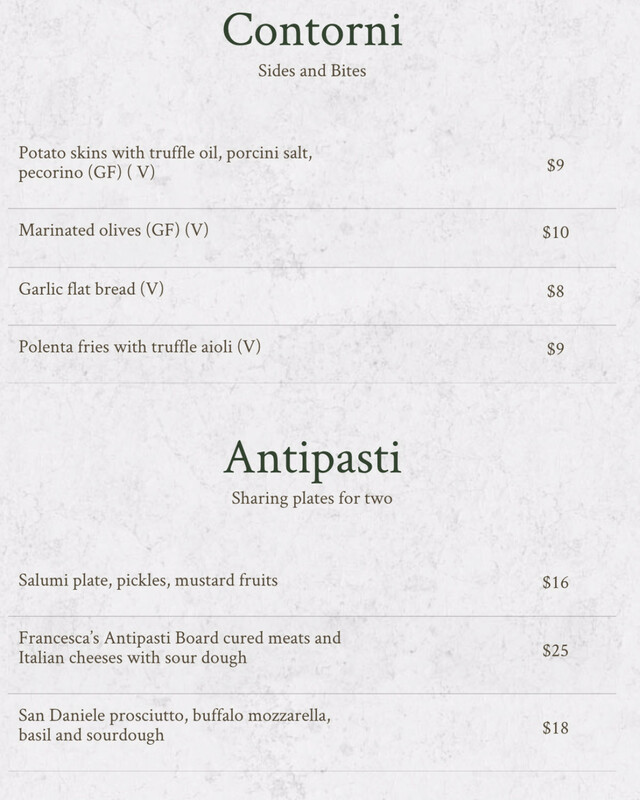 Savour crunchy and creamy polenta fries with truffle aioli, classic napoletana pizza and house-made potato gnocchi. 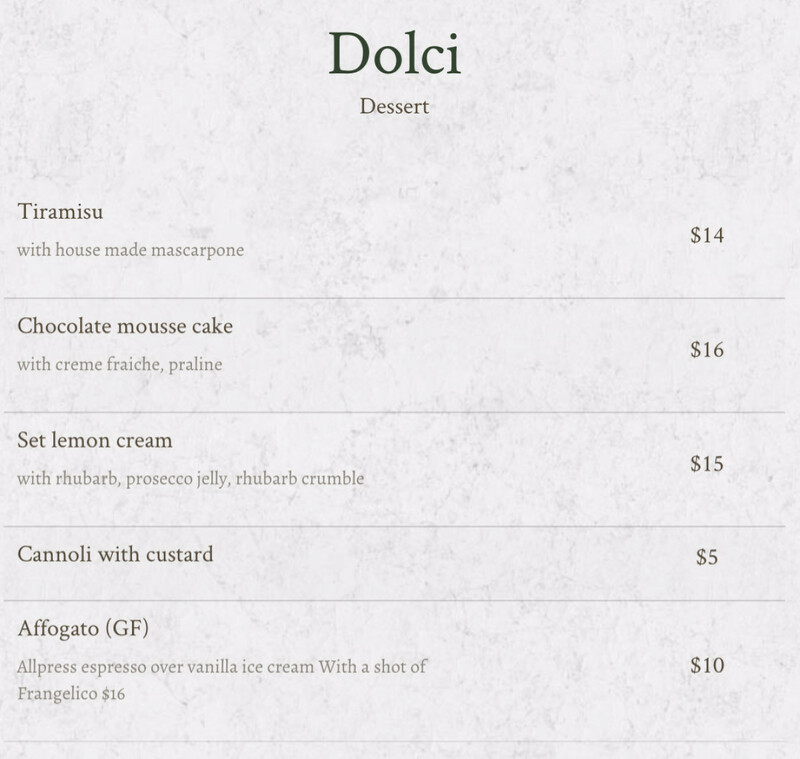 Save room for dolci to die for; tiramisu, mousse cake and affogato made with Allpress coffee. Wash it all down with Italian sparkling water, local and Italian wines or explore the range of craft beers, spirits and cocktails. All in a relaxing, friendly atmosphere with décor that reminds you of the warmth of the Mediterranean. Bellissimo! Everyday 12pm - 3pm for lunch and 5pm - late for dinner. Had a great meal at Francesca's and absolutely enjoyed everything we ordered! The service was speedy, they were accommodating of a fussy 10 year old and the potato skins were a divine family favourite. Three of us came for lunch and ordered potato skins for an entree to share - delicious! Our mains were Pasta Norma, Gnocchi with Beef Cheeks, the Antipasto platter and a green salad. Everything tasted excellent. Again with the desserts we couldn't fault the food or service. One of us had the ice-cream with coffee and liqueur while two of us shared the tiramisu. It just melted in our mouths! Thank you Francesca's Italian Kitchen, we will be back. We had a wonderful lunch with superb food and excellent service. From the starter of potato skins to the tiramisu to finish off, it was a delightful experience. Thanks for a most satisfying lunch. The staff are friendly and helpful and the food was ultra tasty and enjoyable. 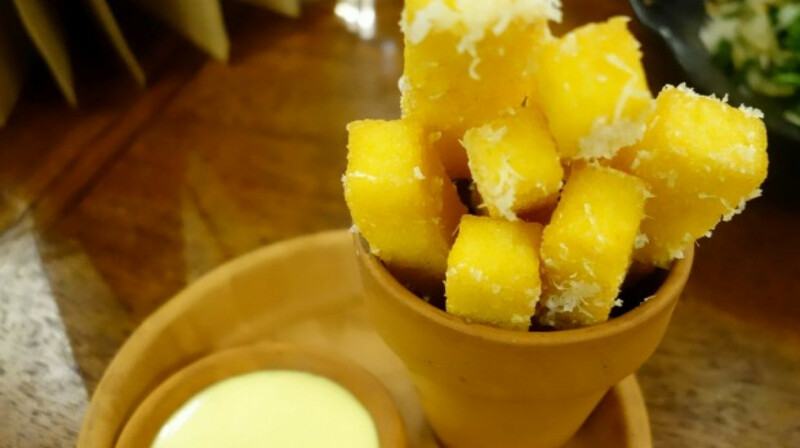 We shared a serving of Polenta fries with truffle aioli - yummy and perfect for sharing while you wait for the main dishes to arrive. For me, I loved the House made potato gnocchi, braised beef cheek, gremolata, pecorino - it was close to being the best beef cheeks dish that I have ever tasted . For her, the choice made was the Cauliflower risotto with pecorino, nut brown butter and almonds *V *GF also very tasty and a great choice if you want to avoid a red meat dish too. The 1/2 carafe of Chianti Italian Red wine went down really well with both our food selections. The atmosphere is very pleasant and a decent space between the tables allows for good conversation which is often not the case in many restaurants. I must mention the classy wine glasses made for a change and good wine glasses really do make a difference to enjoying a good wine. This is an ideal place to book if you have a special occasion or want to make an impression on someone. 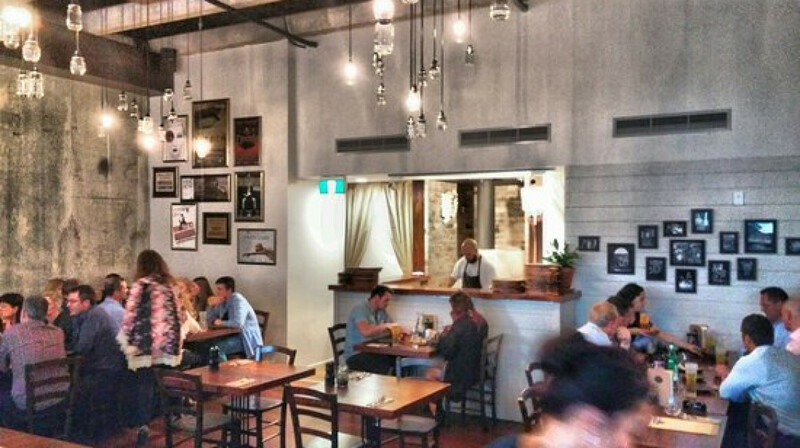 Well done to the Francesca's Italian Kitchen and the staff. We will be back again as soon as we can and suggest that you give this restaurant a try. Fantastic attentive service and an exquisite menu with something for everyone. 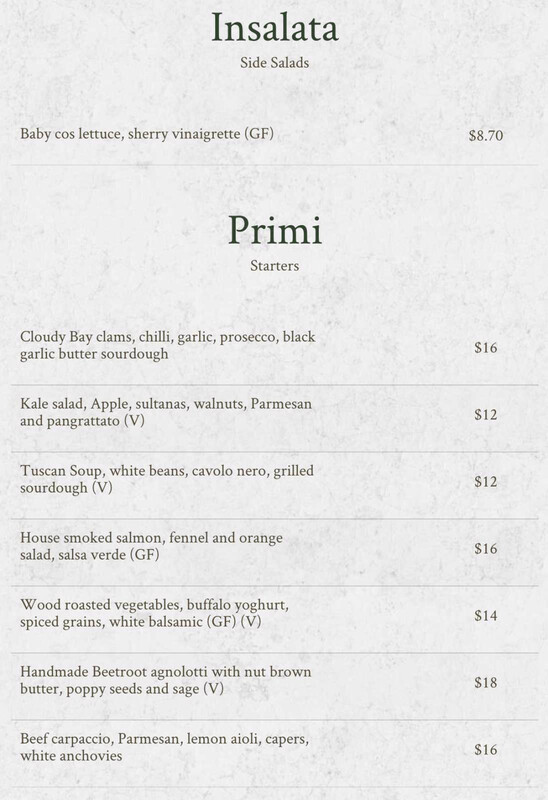 Our table ordered the House made potato gnocchi with broad beans, broccoli and gorgonzola, the cauliflower risotto with pecorino and almonds along with the kale & apple salad and pear & gorgonzola salad for vege content. Each dish was a taste sensation with rich flavours and textures. 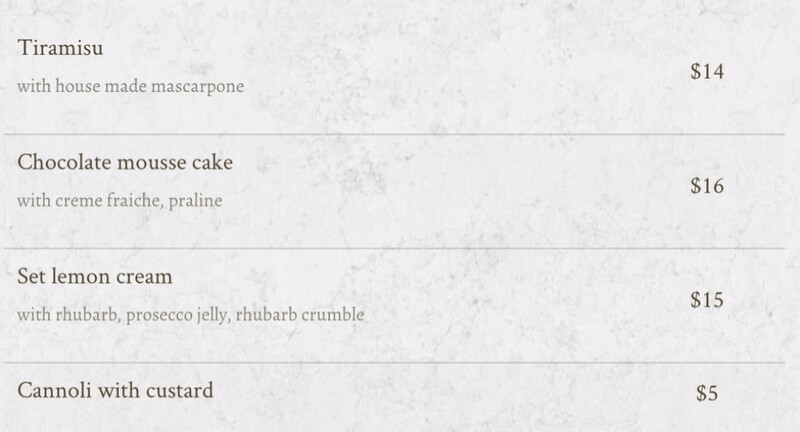 For dessert you simply must order the Canoli, the custard cream is simply divine! I will be returning in the very near future to work my way through the menu. It was a nice welcome and friendly service at the restaurant and tasty food. They always serve a great food. We will come back !!! This was a lovely first table experience at Francesca's. 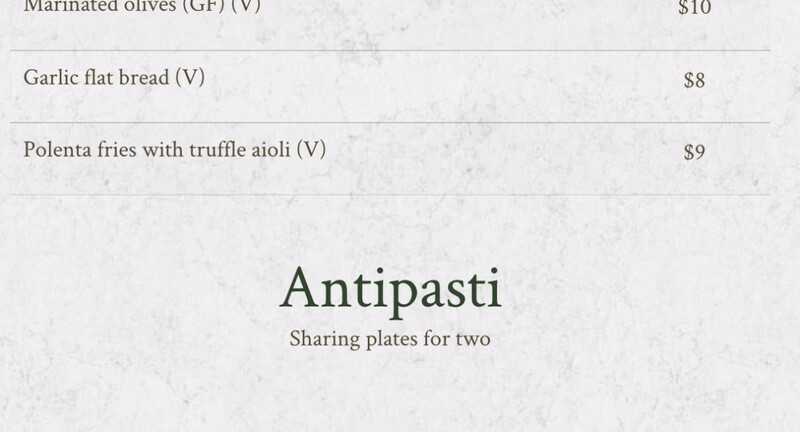 My partner and I shared a pizza, salad and gnocchi dish. We loved everything we ordered. The staff were very attentive and helpful with recommendations. We look forward to dining here again. Excellent as ever. We had the beef gnocchi, lamb ragu/pappardelle, then chocolate mousse cake and tiramisu. Perfect gnocchi and pasta, and all very tasty. Decent portions too. They have a nice list of cocktails as well. Service was efficient, friendly, but not intrusive. Appropriately welcomed. Patient with ordering. Corrected a minor error on their part with no qualms. Food was good. Service was timely. Lovely food for a birthday dinner. Friendly staff. A definite must return! OMG! Food is absolutely delicious! Me and my workmates loved it. Staffs are very accommodating, the place is cozy, and their tiramisu is to die for! Another great experience, the staff were fantastic, attentive without being over bearing and the food was cooked to perfection. We had the salumi plate and beef carpaccio as a starter, both were delicious and generous portions. For mains we had the gnocchi with beef cheeks and the prawn bombardoni pasta. The gnocchi was the star of the show! Not shabby at all, catered well for kids. This is the 3rd time we have been to your restaurant. Again overall the food was superb but I was a little disappointed with the prawn pasta. It was nice enough but felt it wasn’t up to the same standard as other dishes we have eaten. This is only a personal opinion though. The other guests ate the beef cheeks again with rave reviews and the fish of the day dish was beautiful. Will definitely come again. 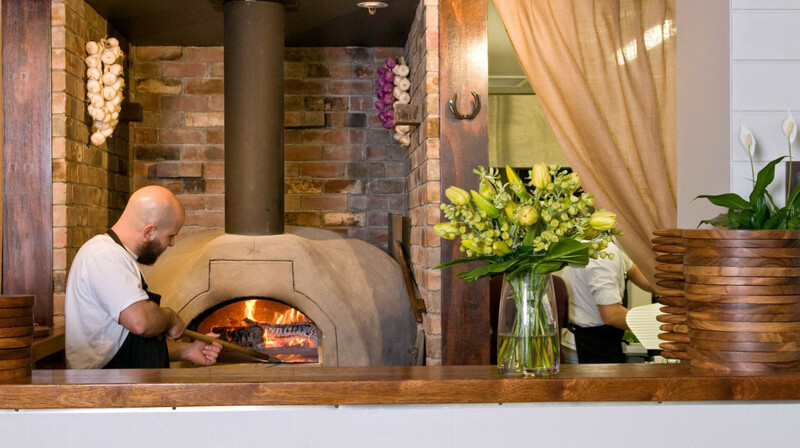 Francesca’s Kitchen is our favourite Italian restaurant in Christchurch & our first table dinner last night was up to their usual high standard. 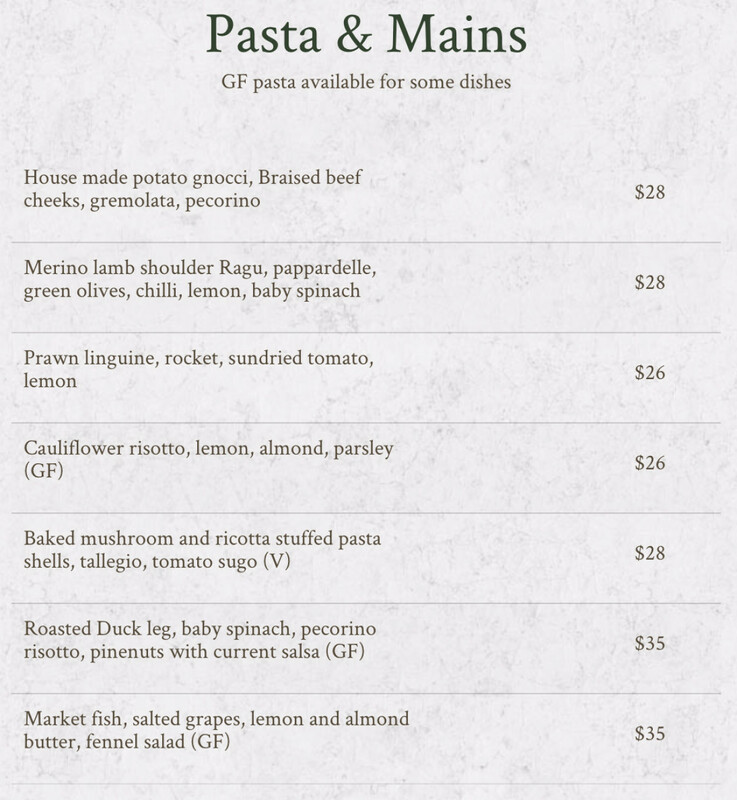 We had gnocchi with beef ragu, lamb ragu with pappardelle & market fish of the day. All were beautifully presented & delicious! We also shared some potato skins & a Margherita pizza as starters so could not fit in any dessert unfortunately. We took our friends from Auckland for their first first table experience & they are now converts to both the restaurant & the concept!! Consistently good quality food along with professional service. Great food, great staff, great atmosphere!! I have been looking forward to dining here for awhile as have heard very good things, and I was not disappointed. I had the gnocchi with beef cheeks and my friend had the market fish meal. The fish was groper, it was cooked perfectly and served with vegetables and a salsa that really complimented it. My beef cheeks and gnocchi was very tasty and surprisingly filling. If i had to make one very small complaint it would be that I think my gnocchi was slightly under cooked as it was just a wee bit doughy and maybe not as light and fluffy as it could have been with a couple more minutes cooking. Still very delicious though! We also tried the polenta fries as a starter which were amazing. The meals came out in good time and the staff were attentive and very nice. 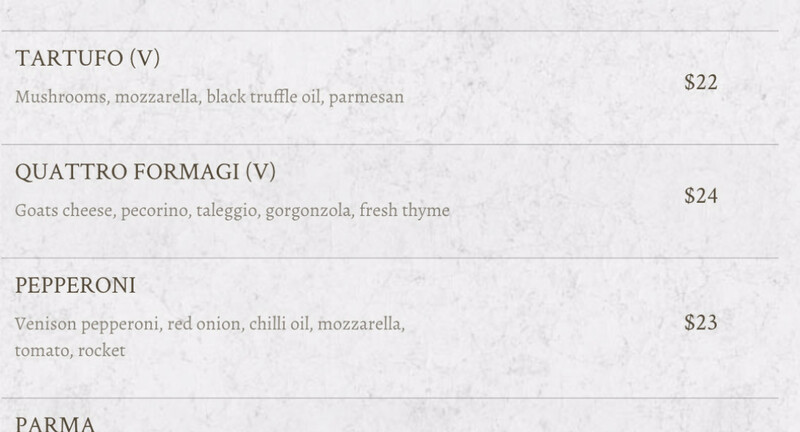 I will certainly be going back as I would love to try some of the other items on the menu. Loved the food. Staff were very friendly and welcoming. Especially liked the polenta fries. Will be back soon to try out the pizzas! Dined at Francesca's on a Tuesday night and received excellent food and service. The tiramisu was especially delicious.! Food and service was excellent, thanks. Outstanding food and service. We had a 3yo with us and the staff were friendly and smiley towards her and without prompting let us know that anything can be adapted for her both size and ingredients. The gnocchi was light and full of flavour and the beef cheek that was with it just fell apart. Highly recommend. Absolutely love the food here. The people are lovely and the service is fast and very professional. Thank you we will return. Cosy atmosphere with super attentive and friendly staff. We shared the starters of salmon, bruschetta and crispy skin potatoes. Left the potatoes till last thinking we wouldn't fill ourselves up unnecessarily but one bite of the skins and we were hooked. Bruschetta and salmon were our favourites. Pasta mains which were divine, thought the gnocchi special could've had a tad more sauce but that's just us loving super saucy pasta dishes. Deserts were lemon curd and tiramisu, both were winners! Would definitely come again to try the pizzas. Delicious food and attentive service! A wonderful experience from the moment you walked in. Great atmosphere, service and of course food! Compliments to Francesca’s. Highly recommend! Wonderful night with even better food, thanks! Awesome dining experience. The polenta fries are the best, pizza was very well presented and delicious and the beef cheeks just melted in your mouth. Excellent evening out 5⭐️. 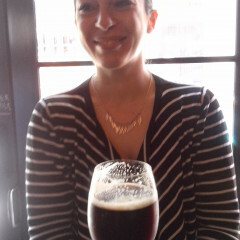 We had a lovely date ‘hour’ away from our 9 month old for our 8 year anniversary. 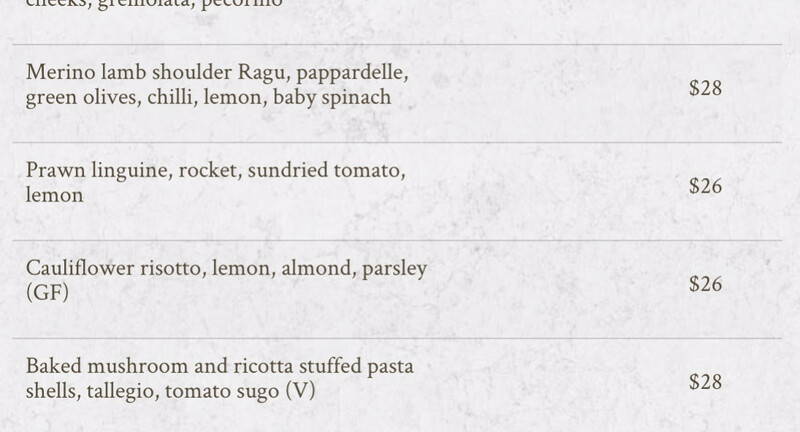 First table is perfect for new parents to have a speedy dinner together and Francesca’s is one of our favourites. 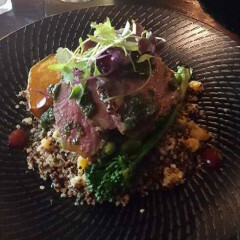 Delicious food, friendly service and welcoming surroundings. We would definitely recommend this restaurant. 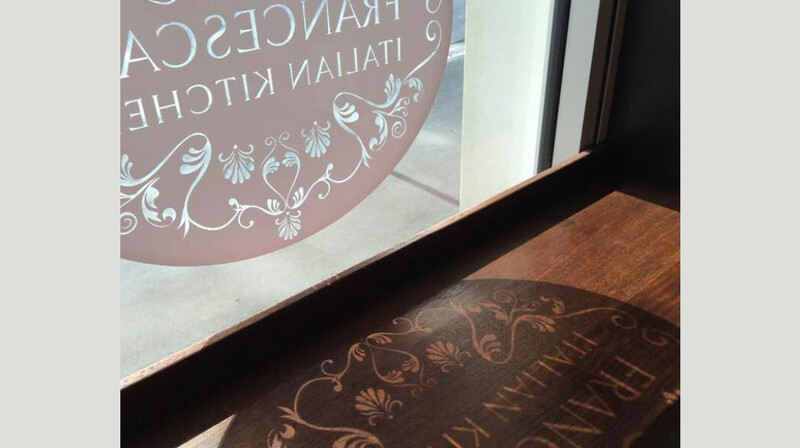 It was our first time to Francesca's Restaurant and it certainly won't be our last! We really enjoyed our meal. The portions were just right and the food was delicious! 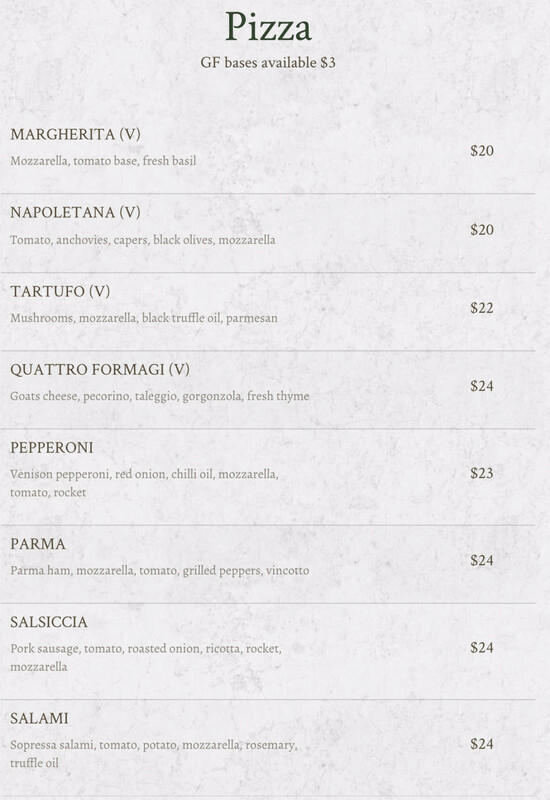 Looking forward to returning to try the pizzas. Fantastic experience, amazing food! Excellent service! Very good service, food was excellent. Menu is not extensive but the food was so tasty we will be back to try another selection. 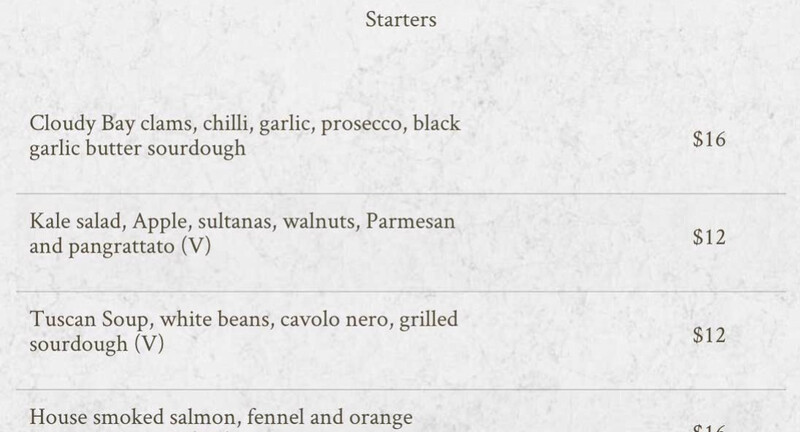 Don't skip on the starters, very mouth watering before the main. I booked Francesca's for my daughter before she leaves for her OE. It's her favourite Christchurch restaurant.. We both love the Polenta Fries and Beef Cheeks with Potato Gnocchi. They were so delicious that unfortunately we couldn't fit in a dessert as well. Maybe next time! Thank you to the friendly staff. A memorable meal.